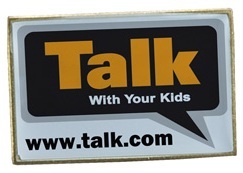 Custom lapel pins are widely used for branding reinforcement, offering your clients high levels of repeat exposure. Other common needs for custom lapel pins include employee recognition, and service awards just to name a few. Custom Lapel Pins are a must for any tradeshow event, and exchanging pins for business cards is sure to leave a lasting impression. - Worn proudly, custom lapel pins act as attractive attention-getters offering your client high levels of repeat exposure. We offer Lapel Pins in the following shapes: rectangular, square, round and oval. Well-made custom lapel pins represent your organization in fine fashion because they strengthen corporate identities based on distinction and quality. 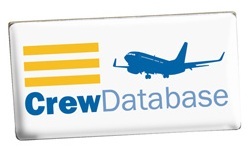 Brand recognition is easily created and reinforced with lapel pins. For each product launch, custom lapel pins can relay your logo or message in a memorable way that works continually on your behalf. As others take notice, word-of-mouth marketing takes over as your message spreads. 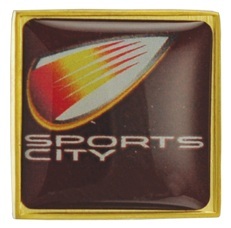 Lapel pins are also often used as an inexpensive promotion that carries a high perceived value! So whether you want to promote your brand, recognize achievement, or show your team spirit, custom lapel pins are the way to go. Because lapel pins have a high perceived value and are often thought of as jewelry, they help bolster an emotional connection between you and your customers. Custom Lapel Pins are great for Employee Relations as there is a certain sense of pride that comes with being recognized for performance and years of service. As employees grow within your organization, enhance those feelings of pride by awarding custom lapel pins to those who have excelled. A custom lapel pin is a great way to convey your message in a unique custom presentation. Pins have helped people around the world express their message with custom made pins for years. Designing a lapel pin may seem like a hard task, but our knowledgeable design staff will work with you to come up with a finished pin that you feel proud to wear. With all the options available we are sure that you will be able to design a lapel pin that will showcase your message, look great and fit into your budget. 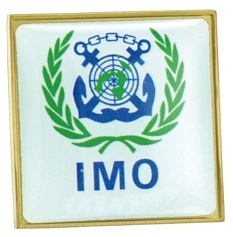 Lapel Pins are an integral element of corporate identity. A well-made lapel pin looks great on the employees of both small firms and big corporations. A single logo or message embodied in a lapel pin strengthens the corporate spirit and adds to a company's confidence and commitment. With custom lapel pins you can easily recognize the members and associates of prominent or public organizations, such as masonic lapel pins, anywhere, they have unique lapel pins. Lapel Pins recognize and reward achievement and success. Whether it is for years of dedicated service or just reaching a specific goal, a custom lapel pin will go a long way in building employees' pride in the company or organization. When running competitions, events or contests, giving out lapel pins to participants or fans makes the event that much more memorable.